Wudu is the Islamic procedure for washing parts of the body using water, typically in preparation for formal prayers. 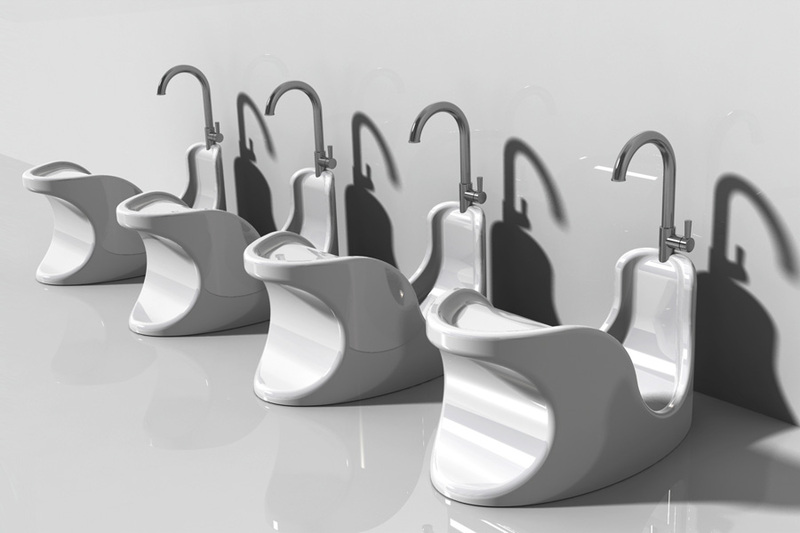 Vertex design team was approached by an inventor who wanted to redesign the Wudu station to be more home user friendly and fit with other washing stations. Most Wudu washing stations are installed outside mosques for men to wash and prepare for prayer. Many worshipers do not go to the mosque five times a day, and they pray at work, home or school. The washing procedure takes place at any other water source. Since the washing procedure includes washing the face, hands, head and feet, it becomes very uncomfortable and awkward unless a specially designed seat is used. 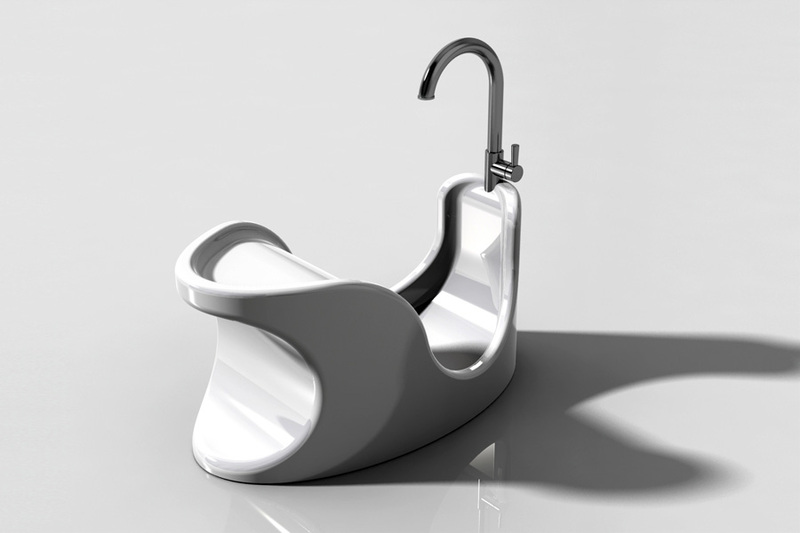 This new concept of a Wudu seat is such an idea. It was designed to fit environments such as hotels, schools, homes and mosques. 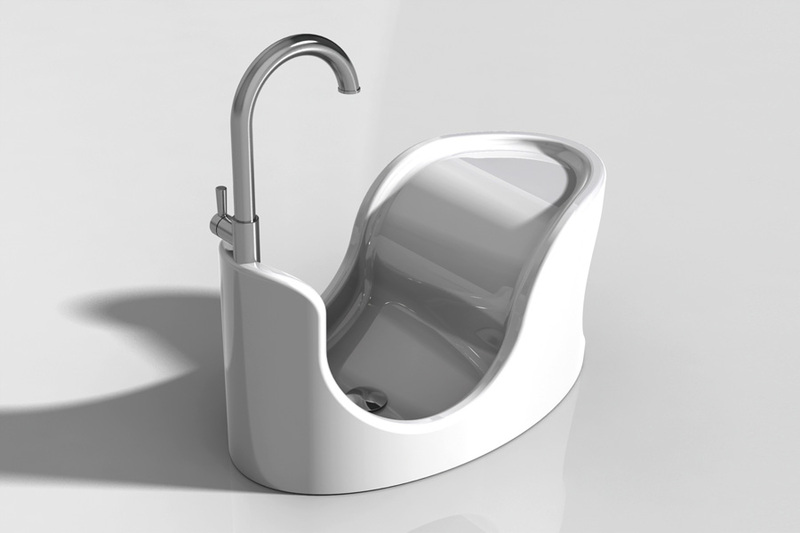 It was also designed to be manufactured from ceramics with glazed finish for ease of cleaning and maintenance.